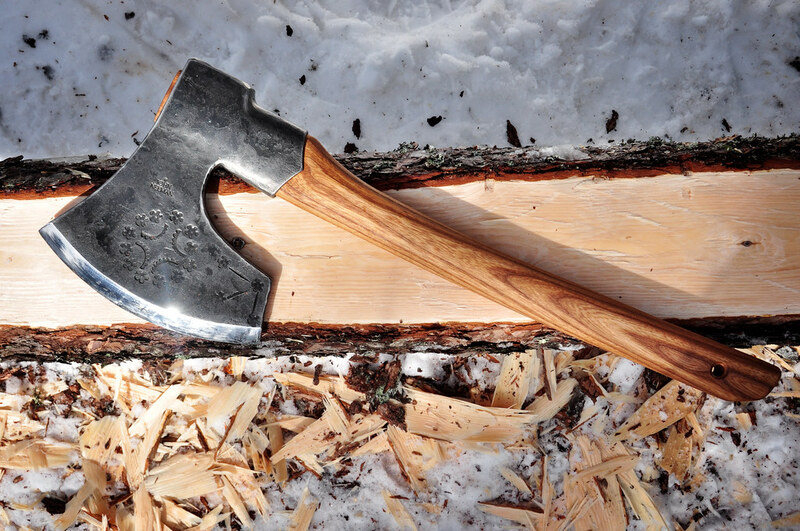 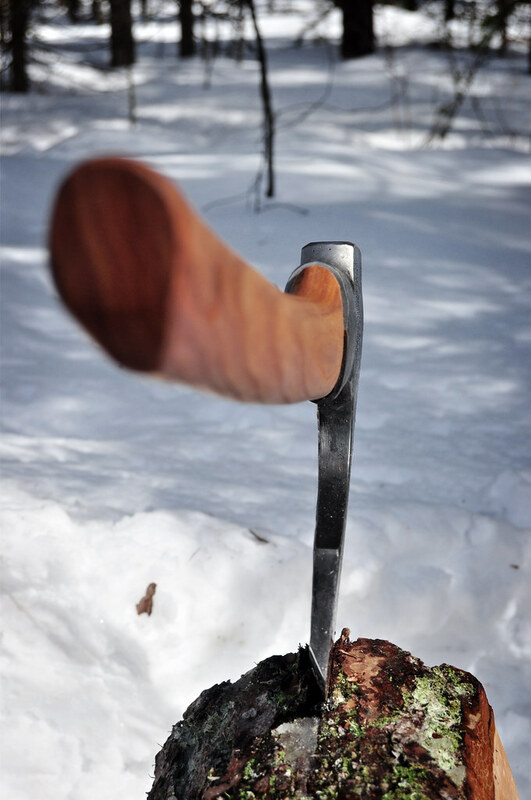 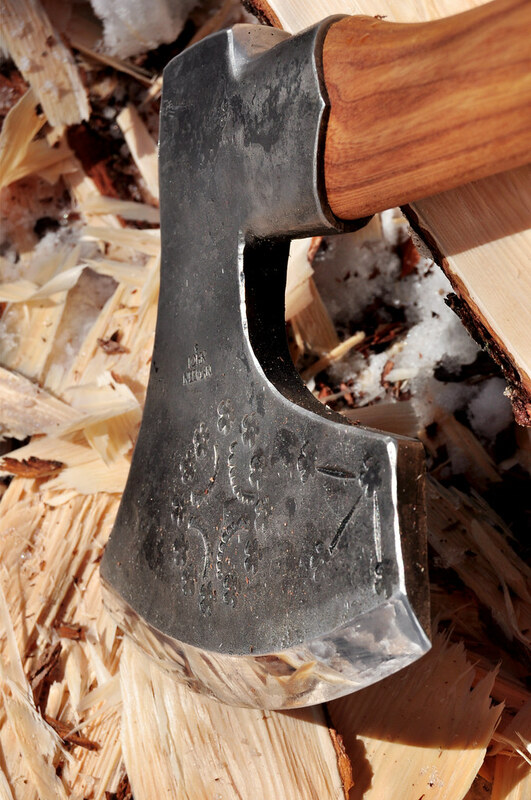 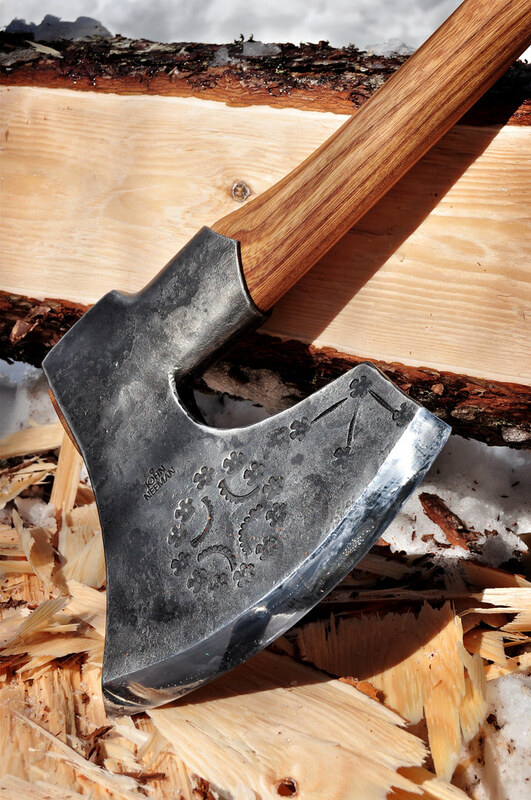 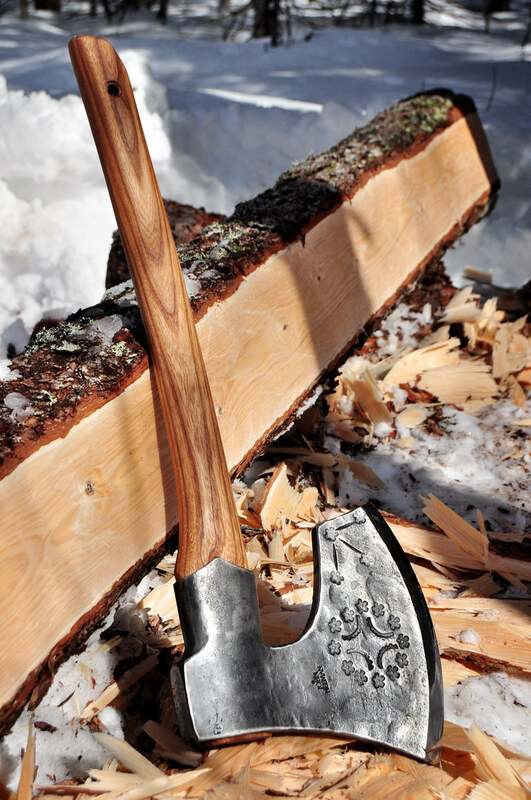 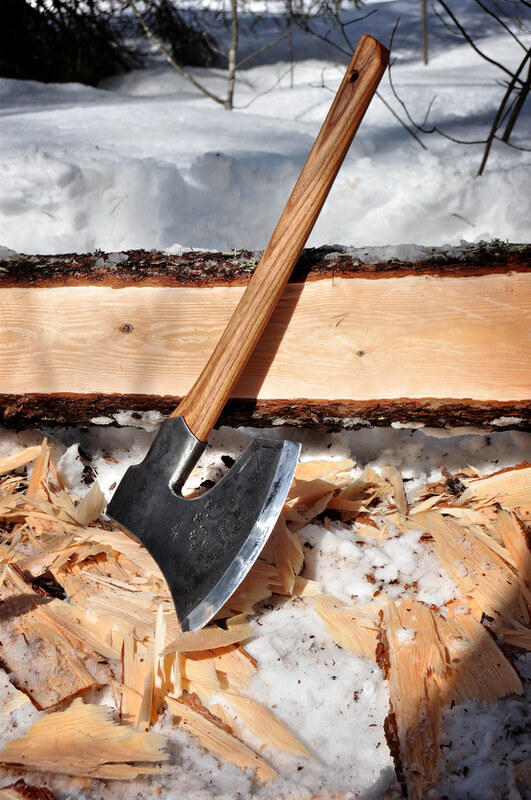 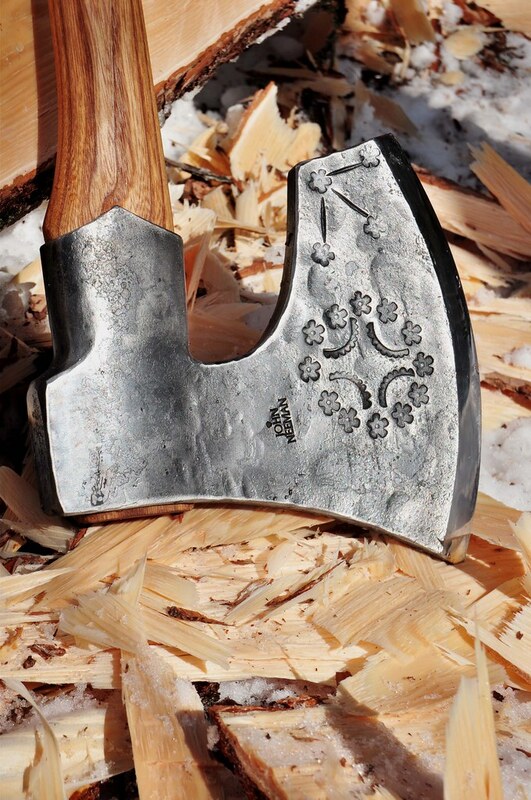 In the same style as the double bevel, the Baltic Broad Axe Single Bevel comes in right or left handed grinds. 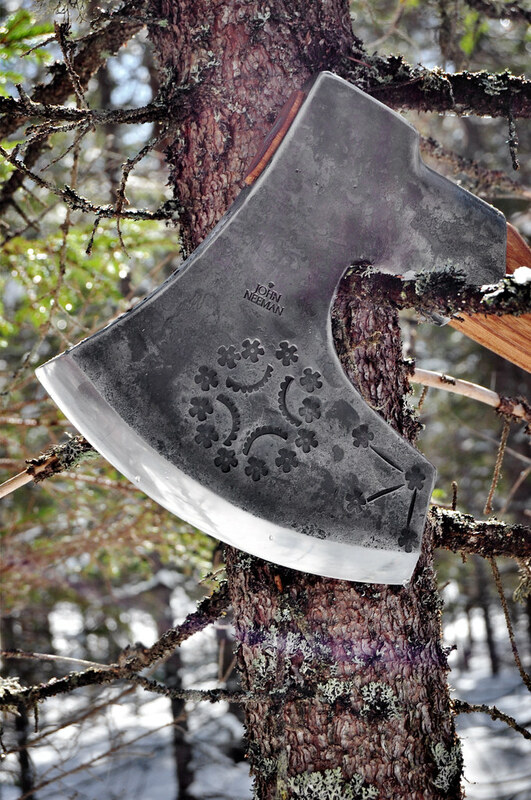 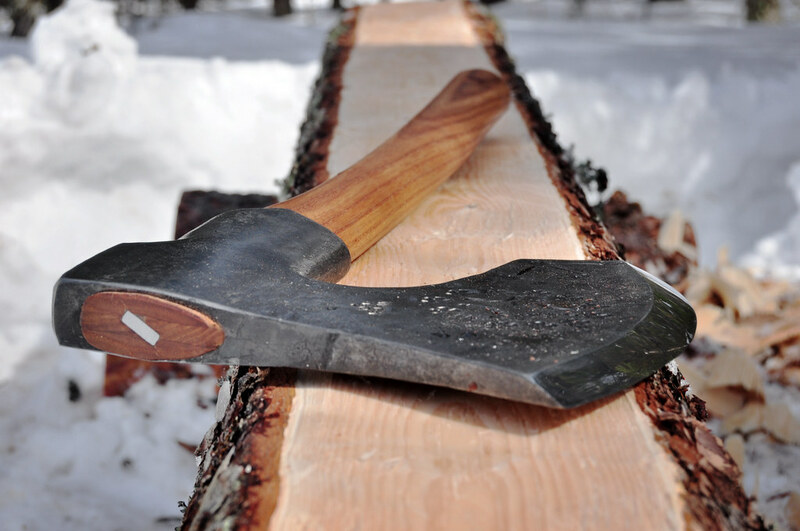 This axe serves as a giant chisel, finishing the cuts of the double bevel and then leaving a super smooth surface on the work material. 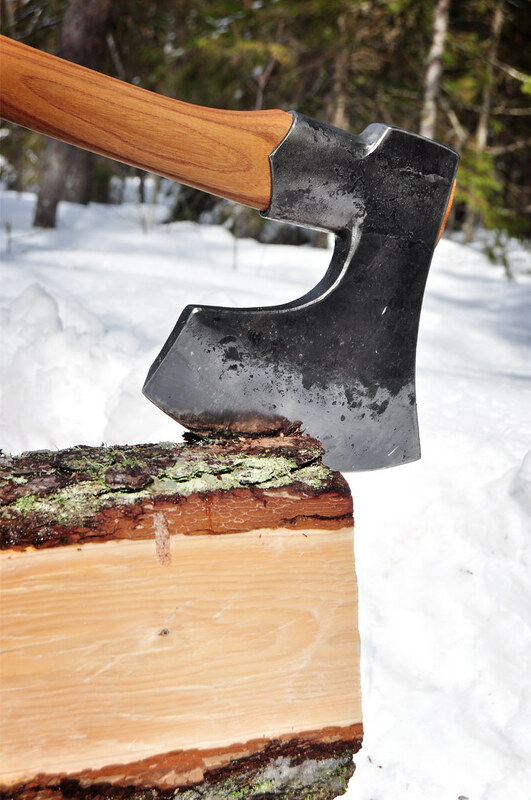 The handle is offset as well to allow safe use while working close to the timber.